2 Bedroom Flat For Sale in Maidenhead for £375,000. 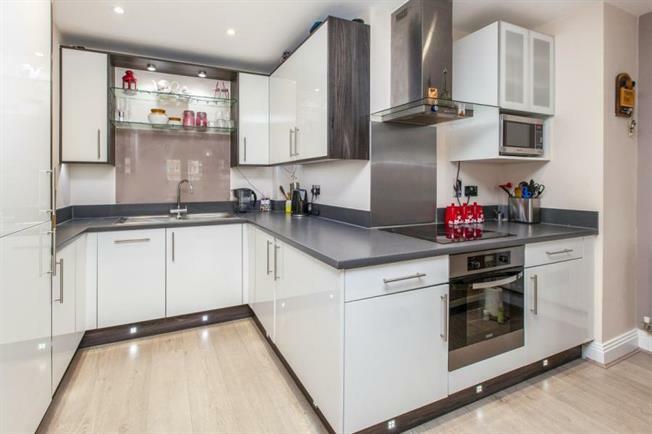 This spacious ground floor apartment offers the very best in contemporary living with a light and airy open plan kitchen/living/dining room, a utility cupboard, a master bedroom with en suite shower room, a second double bedroom and a luxury bathroom. Comprising of exceptionally designed apartments within a thoughtfully planned elegant apartment building in an enviable location just a short walk away from the centre of Maidenhead and a short stroll to the River Thames. The location offers excellent transport links including the M4, easy access to Heathrow Airport and Maidenhead train station, soon to benefit from Crossrail.